There’s really no colon there, huh? So it’s not like, “Into Darkness is a Story of Star Trek,” it’s like, “darkness is where my trek through the stars is taking me.” Okay, man, sure. I just watched this movie, and it made me think of this article I read about how snack companies hired a bunch of snack food engineers to manufacture the perfect snack, one that provided maximum oral stimulation and minimal nutritional satisfaction so that people would constantly munch on it without thinking, and how the perfect expression of that snack food was Cheetos. That’s what this movie, this movie is Cheetos. I saw Oblivion the other day, and will now write about it. This isn’t strictly a review, and it isn’t strictly dramaturgery, but I will review it a little bit, and I will also do dramaturgery on it, so stick around if you like either of those things. SPOILERS FOLLOW. Serious spoilers, don’t read ahead if you want to be a little surprised. Yesterday, I saw “Future Fest”, which is a Luna Theater production of short “science fiction plays”, themed around time travel (I guess, kind of? ), which whole thing is part of the Philadelphia International Festival of the Arts. I haven’t been doing a lot of reviews of theater lately, for a lot of reasons, but I saw these plays and because they are plays performed in a theater, and because Luna Theater is selling tickets to them, and because it is a part of a cultural even that I, as a Philadelphian, am ostensibly meant to be interested in (“The Philadelphia International Festival of the Arts”, which, I don’t know if that’s a festival of international arts? Or is the festival itself international? Whatever. The point is, it’s not a couple skits some cats were doing in their backyard just for the heck of it), I have decided to write about this. We need to talk about these plays, guys. This is a very long essay, and it probably constitutes the end of my interest in NBC’s SMASH. I know that most of you will be happy to hear that. In my heart of hearts I feel ‘Battleship’ would have fared much better if in its third week ‘Avengers’ wasn’t doing $55 million. This is basically the same thing as saying, “I believe that if pizza weren’t so successful as a food product, more people would be lining up to buy my turd sandwich,” in that yes, duh. Of course people would rather see The Avengers nine times than see Battleship. I would rather watch The Avengers nine times, and I hate watching anything twice. I would rather watch no other movies for the rest of my life, and watch The Avengers every single day until the Four Horseman annihilate the world at the front of a wave of radioactive space sludge than watch Battleship. Because Battleship is a turd sandwich. 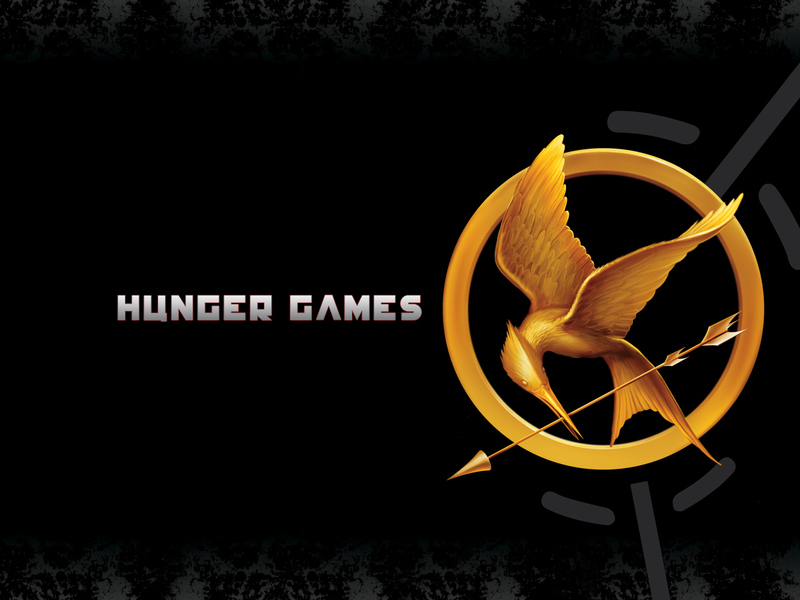 I just finished reading Suzanne Collins’ The Hunger Games. As with many stories, some parts were good, and some parts were not so good. I would like to talk about what it was about, and what I think it should have been about; about what it focused on, and what would have made for a more compelling focus. There are some SPOILERS AHEAD, and if you would rather read the book yourself, and would prefer it not to be SPOILED, please do not continue.